The power of a gas tiller in a convenient, easy-to-use electric model! No expensive gas or oil to buy! 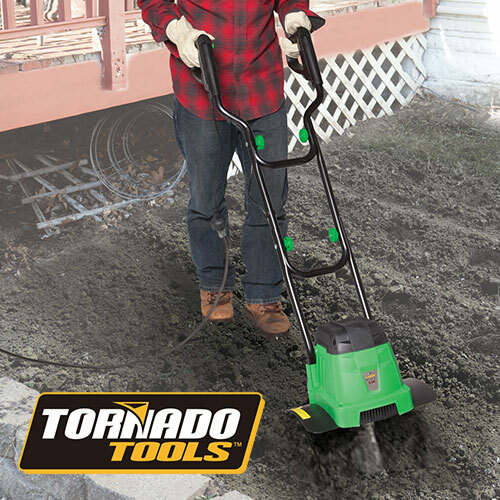 Tornado Tools™ Tiller has a high torque 6.5 amp motor and precision steel blade tines to loosen the ground and pulverize weeds! 54" x 14" x 14"